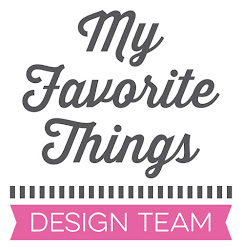 Some of my favourite MFT products are the Tic, Tac, Toe collection of stamps, dies, shaker pouches, and X's and O's. I just love playing with this collection. My card today would be perfect to send to a young person who needed a little extra encouragement. 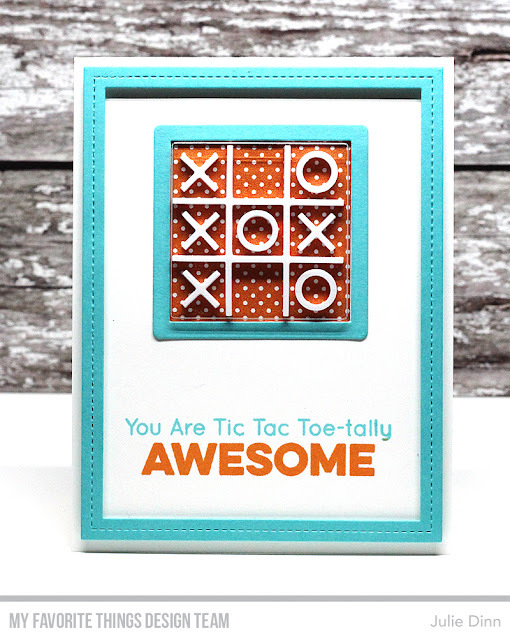 I paired an Orange Zest print from the Itsy Bitsy Polka Dot Patterned Paper Pack, with the White Tic, Tac, Toe pieces and a Square Shaker Pouch. The sentiment from the X's and O's stamp set was stamped in Blu Raspberry and Orange Zest Premium Dye Ink.